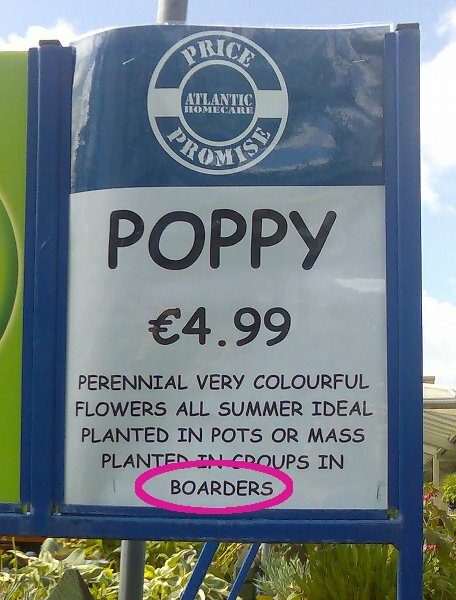 Earlier in the summer I was at the local Atlantic Homecare store buying compost and other material for our back garden. 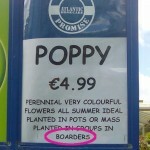 In the outdoor section of the store there are a few signs highlighting the wonderful plants on offer. Unfortunately the author of those signs is not the best speller.